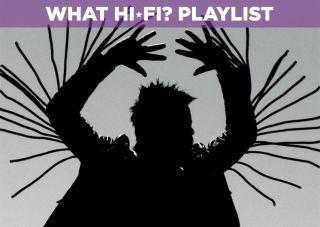 Twin Shadow: Eclipse - CD review | What Hi-Fi? George Lewis Jr. (Twin Shadow) has his sights set on mainstream success. Does he achieve it with his latest album, Eclipse? No one moves from 4AD to Warner Brothers without having at least one eye on the big time, and for his major-label debut George Lewis Jr (for it is he) sounds like he has the mainstream in his cross-hairs. Eclipse may be soft-pedalling the overt 80s synth-pop references of his first two albums, but if it’s big choruses, bigger drums and unabashed commitment you want, just set your watch back 30 years and dive right in. There’s a commonality to all 11 songs here, from the 4m 19s of opener Flatliners to the 2m 57s of closer Locked And Loaded and through the 3mins-odd each of the nine songs inbetween. Opaque (but opaquely meaningful) lyrics, glossy synth pads, drum fills the like of which T’Pau might have rejected as being a bit too bombastic, and huge, hooky melodies. There’s immediacy and urgency here in spades, but between the sincerity and the vast, unmanageable scale of most of the songs (with the title track arguably the only exception) it’s the aural equivalent of eating fois gras three times a day for a week.